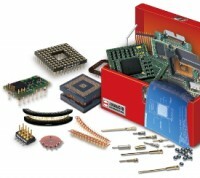 Work directly with our experienced Product Engineers to create a customized connector, or use our online Build-A-Part™ tool to configure one of our standard designs to meet your application. Submit your application requirements and any attachments via our Info Request form or call us directly at 401-823-5200 to speak to a Product Engineer in our Sales department. From pin count to plating type, it's easy to build the exact part number needed for your application. Watch this quick video to learn how, and then select a product from the list below to get started.